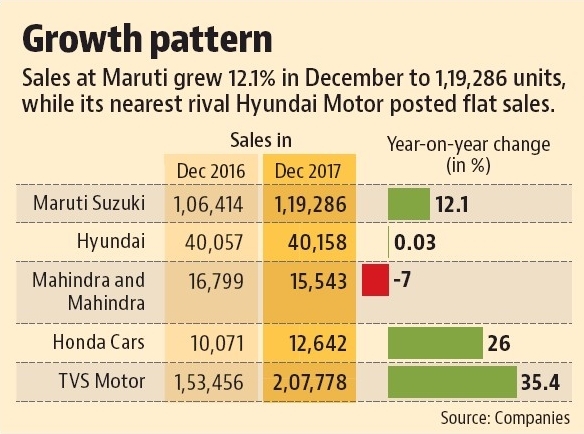 Buoyed by a rise in output and new orders, India’s factory activity expanded at the fastest pace in five years in December, suggesting a further strengthening of the economic recovery seen in the September quarter. The seasonally adjusted Nikkei India Manufacturing Purchasing Managers Index rose to 54.7 in December from November’s 52.6. A reading above 50 denotes expansion. 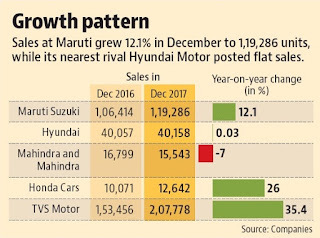 India’s eight core industries grew at the fastest pace in more than a year in November while the country’s biggest car makers reported double-digit sales growth in December. India’s GDP growth recovered to 6.3% in the July-September period from a three-year low of 5.7% in the preceding quarter. The statistics office will release advance growth estimates for FY18 on Friday.